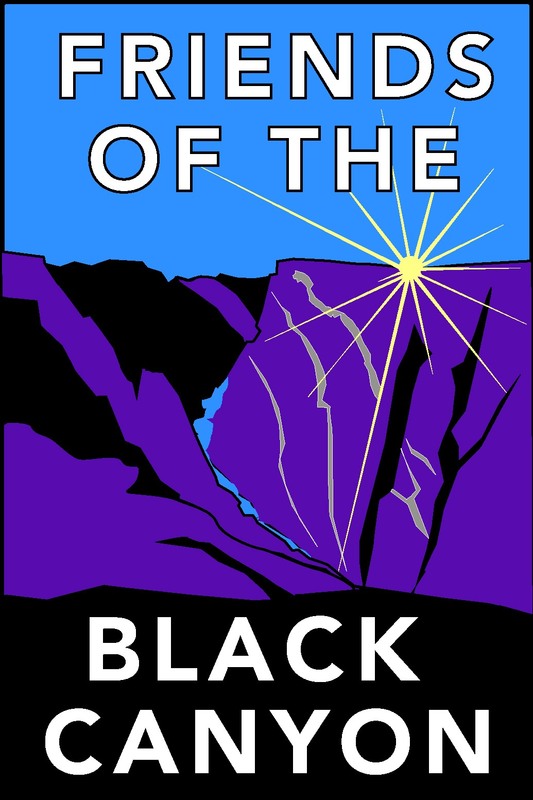 It’s National Volunteer Week and a perfect time to announce that we are launching a new volunteer program in partnership with Black Canyon of the Gunnison National Park to recruit and train trail ambassadors starting this summer. The park trails are increasingly busy, including the wilderness routes down to the Gunnison River at the bottom of the Canyon. As usage increases, park staff is less able to keep up with the requests for information and assistance on the trails. They have asked us to help them get boots out on the trails and provide some friendly faces to interact with hikers enjoying the many routes. Volunteers should expect to put in trail time at either the North or South Rim of the canyon, walking the trails that are suited to their fitness and knowledge. Park staff will provide training on safety tips, trail etiquette, permitting systems, and routes. Shirts and printed materials will be provided to all volunteers. We are collecting names of volunteers and will assemble our crew in the coming month, with the aim to have ambassadors on the trails by the end of May. Please let us know if you are interested. Email us via the contact page or reach out to one of our board members. I cannot wait until next year’s National Volunteer Week when I can applaud all of you that step up to be trail ambassadors at Black Canyon. please add me to e-mail for info on training! sounds like a great program.